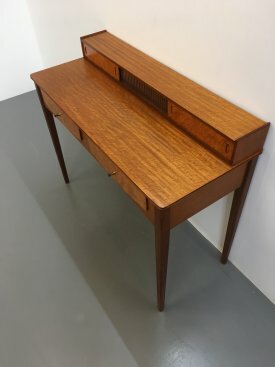 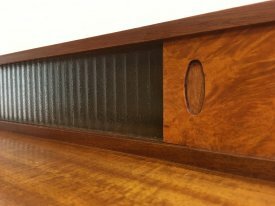 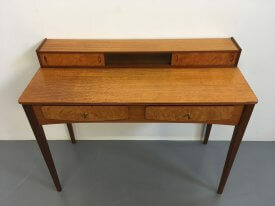 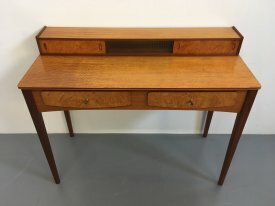 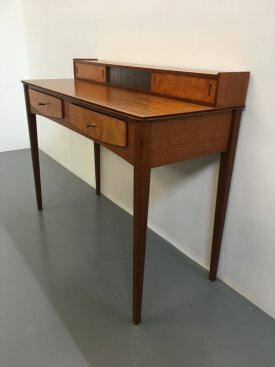 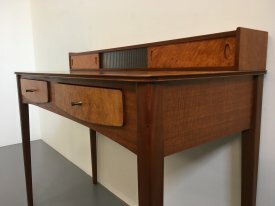 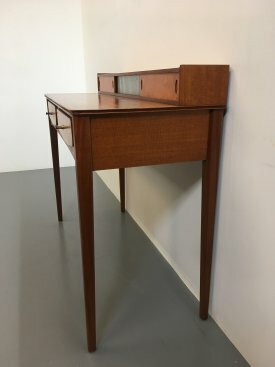 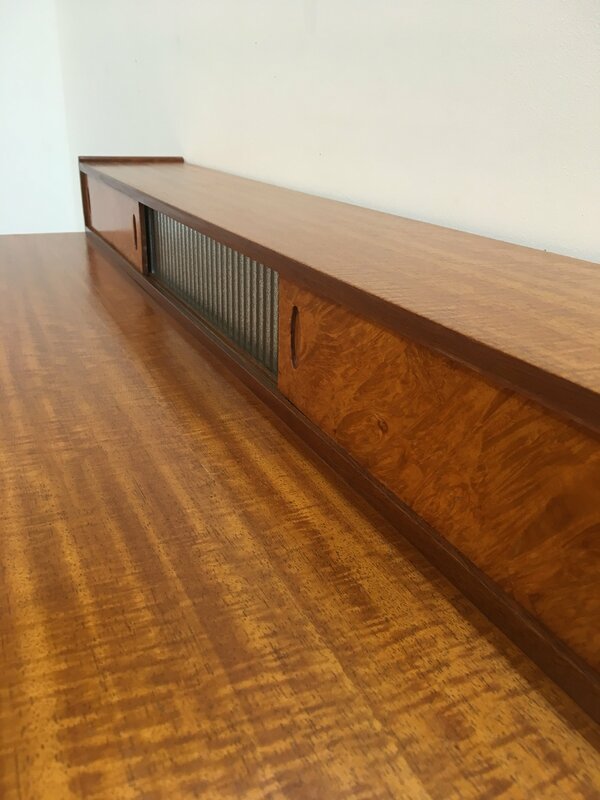 1950’s British console table. 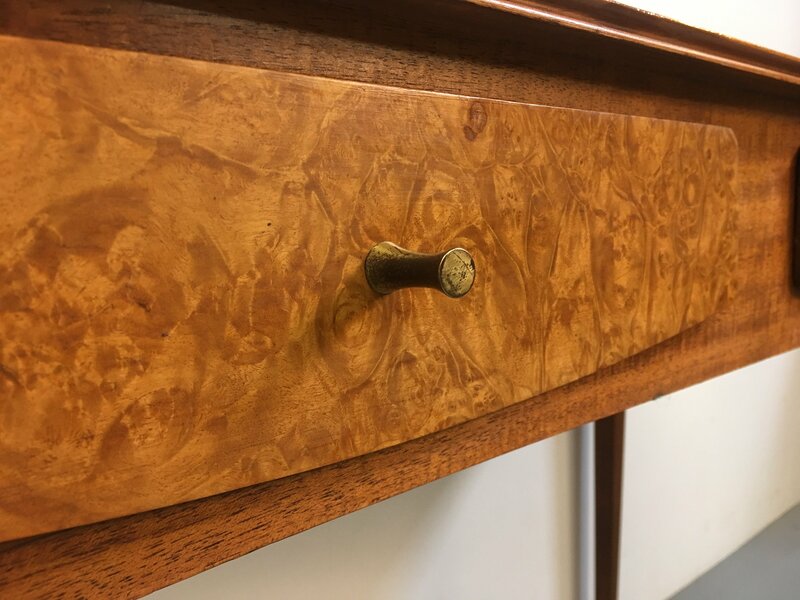 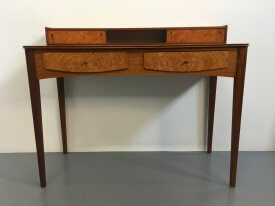 Intriguingly constructed with quarter sawn meranti top, tapering sapele legs and burr yew drawer faces with hour glass brass pulls. 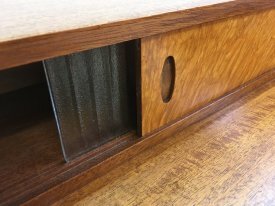 Upstand with sliding doors and opaque glass section.